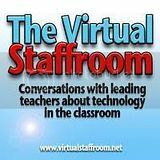 For a while now, ever since I’ve been producing The Virtual Staffroom podcast, I’ve been meaning to blog about the workflow I’ve developed for producing it. After a lot of trial and error, and making plenty of mistakes, I’d started getting a system happening on the best way to put the podcast together. Then along comes the new GarageBand as part of iLife ’08 and all that changed. Normally I don’t like it when my systems get disrupted, but in this case I am thrilled about the changes as it reduces the steps needed to make a podcast considerably. Added to that are some configuration changes I made to the way I capture the audio, and I reckon I can now do better quality recordings at much smaller filesizes with far less effort, so it’s win-win all round. For anyone that might be interested, here are the tools and the workflow I plan on using from now on to create podcasts. I’ve got another podcast interview lined up for tomorrow night so I’m excited about these new workflows. Firstly, I record my interviews using Skype. I use a decent USB headset microphone, a Logitech 250… I had a 350 but it broke, and the 250 was cheaper with the same audio specs. With Skype I can call to another computer anywhere in the world, but I can also call to a telephone line as well, so either works fine. Skype also let me do multiparty calls, so it can be several people online in the chat at once. To record the call I use Audio Hijack Pro. I used to use Call Recorder which is one-button easy, but it can be a bit flaky and drop out at times. 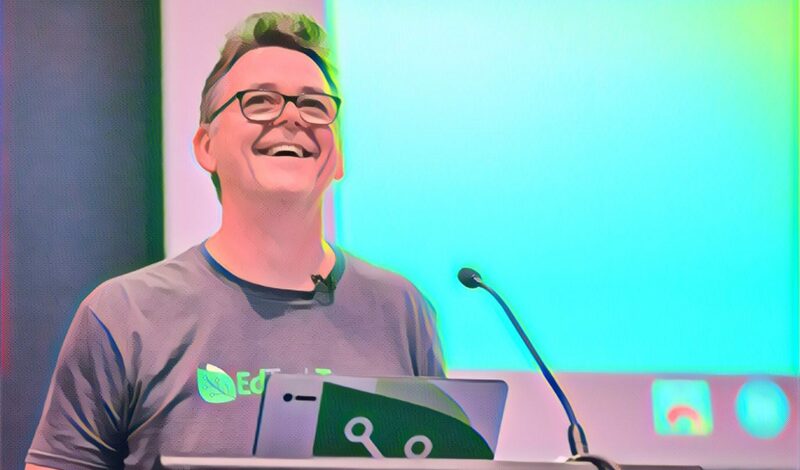 It’s mostly reliable, but for podcast interview mostly reliable is not acceptable of course… I once did an hour long interview with Luc Zwartjes from Belgium only find that Call recorder crapped out and dropped the whole recording. Not happy, and I felt very embarrased to have to let Luc know about it, although he was gracious enough to record it again with me. From then on I have always used both Call Recorder and Audio Hijack together, but have since decided that Audio Hijack is good enough just on it’s own. What I like about Audio Hijack is the way you can capture the audio of the call to AIFF format. I never realised this for a long time and was capturing to MP3 and using Quicktime Pro to convert it to AIFF, but I’ve since discovered that I can go directly to AIFF which simplifies things a lot. The other advantage is that I can choose the bitrate and mono/stereo setting, which can bring the file size down a lot. I currently record using AIIF format, 16 bit, Auto Sample rate, Mono and it seems to work really well. Recording in mono halves the filesize of stereo. Once I record, I drag the AIFF file to The Levelator. This simple and easy to use tool runs a very complex analysis of the file and applies compression and normalisation filters to the audio. This fixes any overly quiet or loud bits and makes it sound much better. If I wasn’t fussy, I could leave this step out, but I think it’s worth doing for the better audio quality. Once I get the adjusted AIFF file out of Levelator I drag it into a new podcast episode in GarageBand. I really like Garageband as an editor and find it simple to use and easy to shuffle audio tracks around, make edit points, add multitracks, etc. I also add the tops and tails to the interview directly in GarageBand, and well as any music, sound effects, etc. The big news in GarageBand ’08 is that you can now export directly out in MP3 format. This is great… prior to this I had to export out as an M4A file and then use Quicktime Pro again to convert it to an MP3… it was an extra step and made it hard to work in mono. The new export dialog in GarageBand has all the features that a podcaster could want… I set mine to MP3, 64kbps, Medium High VBR and Mono. The sound quality in the tests I’ve done is really good, and the filesizes are way down on the older episodes. Finally, I use Podcast Maker to add my metadata, shownotes, XML data and album artwork, and in one click upload it to the Virtual Staffroom server. Podcast Maker generates all the required XML and RSS feeds very nicely. It’s a wonderful tool. So there you have it… it might sound complicated but it’s not really, and this new workflow is way more simplified than the previous method I used to use. Apple has really listened to podcasters and added just the right features into the new GarageBand. Combined with the extra tools like Skype, Audio Hijack, Levelator and Podcast Maker, making podcasts has never been easier! My Podcasting Workflow by Chris Betcher is licensed under a Creative Commons Attribution-ShareAlike 4.0 International License. Next PostNext Dude! Where's my Map?